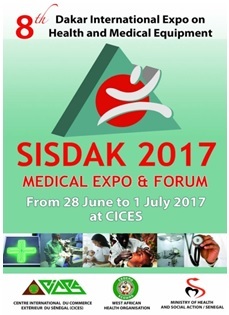 Centre International du Commerce Extérieur du Sénégal organized the ‘8th Dakar International Exhibition of Health and Medicine Equipment’ on 28 June to 1 July 2017 at the Exhibition grounds of CICES in Senegal. This event was organized within the framework of OIC Strategic Health Programme of Action (OIC-SHPA) 2014-2023. The Expo offered a framework of annual meeting exhibitions and scientific exchanges for the professionals of health from Senegal and foreign countries, operating in the sectors of medical equipment, pharmaceuticals products and public health. Representatives of all Member States and OIC institutions such as COMSTECH, SESRIC, IDB and ISESCO attended the event.